Homepage Teams Hispania Racing Team Has TATA Made The Wrong Decision With HRT? Has TATA Made The Wrong Decision With HRT? It pained me to see Narain Karthikeyan struggle in the Hispania Racing Team’s F112 around the Albert Park circuit in Australia last weekend. This was HRT’s second Australian GP in a row where they failed to qualify for the race. While my heart goes out to Narain and his plight, the sports marketer in me fails to understand TATA’s strategy behind the continual support of the always struggling backmarker team in Formula1. 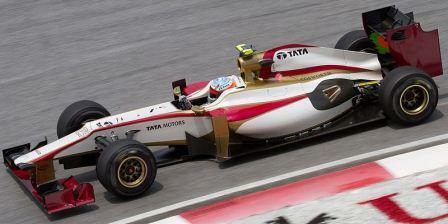 The TATA Group has various investments in Formula1. Since the early 2000s, TATA Consultancy Services has been a partner of the multiple championship winning team, Ferrari. Infact, their association goes beyond the race cars and extends to Ferrari’s road car division too. 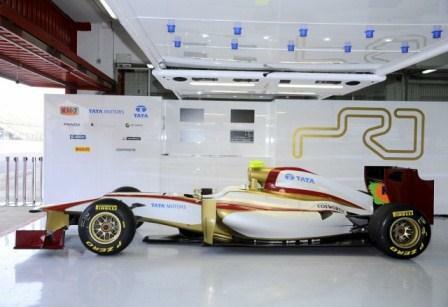 Just recently, TATA Communications also became the ‘Official Connectivity Provider’ to Formula1. The benefits of this tie-up will be for all the teams and fans alike as it would increase the network and connectivity speeds across all the races on the calendar. The third association of course is of TATA Motors with the Hispania Racing Team. Yes, the association is not a direct one with the team and is via a driver (Narain’s) sponsorship. But before I go on, this is possibly TATA’s most visible association with the sport in the last two seasons give the large nature of their branding on the HRT racing car. While the nature of the first two investments makes complete sense and bodes well for the TATA brand and respective businesses globally, the third association does the exact opposite for TATA Motors. TATA Motors is a young and innovative brand (they attempted the Nano after all) that is looking to go global. They have various concept versions of the Indica / Indigo and Nano platforms that are showcased at global auto shows. For a brand keen to enter the fiercely competitive and advanced global automobile space, does a continual association with the slowest team in Formula1 make any sense? Through my various years in the Motorsport industry, I do know that TATA’s allegiance is towards Narain more than any other team or driver. However, if this association is only to support Narain and his progress in Formula1 and hence an emotional one, then the talk of the brand and business benefitting doesn’t necessarily become a valid argument. However, what one could argue is if Narain and TATA could use the sponsorship to drive for a better team in the mid-field pack that could ultimately benefit the driver and the sponsor. Of course, you could counter argue if there are other teams in the Paddock willing to sign up the much older Indian when younger pay drivers are available. However, this post isn’t about Narain, so I shall go back to the discussing the TATAs. The estimated value of their sponsorship with HRT is around 8 million euros per annum. Considering that the sponsorship existed in 2011 and will do so in 2012, the TATAs would have spent close to 16 million euros on this association. If Motorsport is the platform that TATA Motors is attracted to, are there any options that offer better opportunities than what they currently have? In my opinion, there could be two. First, invest in Indian Motorsport. The sport is currently in a growth phase and needs as much investment and support from car manufacturers than it currently has. Volkswagen and Toyota have already made their moves and with another big manufacturer entering this space, the opportunities for young and budding racers would only increase. The second, would be to invest in Formula1 itself. However, this time it wouldn’t be as a sponsor, but as an engine manufacturer. The assumption I make here is basis TATA’s participation in auto shows across the globe. This stage is filled with manufacturers with more decades of experience in building road cars than the TATAs. Of course due to the wealth of their experience, these manufacturers are far more advanced technologically. If the TATAs were to foray into Formula1 as an engine manufacturer with one of the competing teams, the opportunity would instantly project their brand as a ‘challenger brand’ giving it the opportunity to showcase its technological prowess and progress on a global front. Come 2014, engine regulations in Formula1 are expected to change from the current 2.4 V8 to 1.6 turbocharged V6 capacity in a bid to lure car manufacturers back to the sport. In my view, TATA could use this opportunity well to build fast and reliable engines and exploit the global media and PR platform offered by the sport. However, you could argue as to what if they failed? Well, I would say at least they tried! It does take something for a manufacturer to even compete in Formula1. I have written extensively on Narain Karthikeyan, Karun Chandhok, Indian Motorsport and the Indian Racing League‘s i1 Super Series. 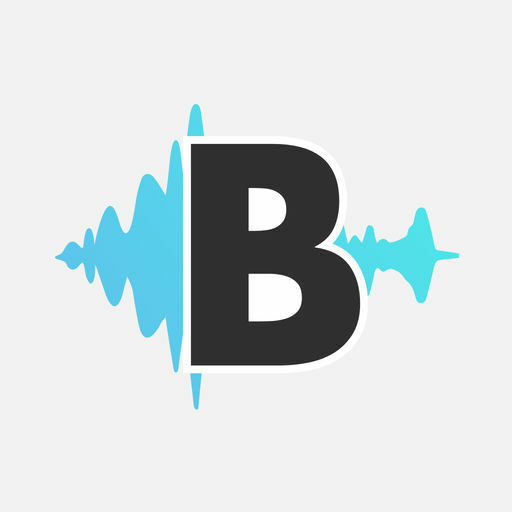 You are welcome to read and comment! I look forward to a piece on Karun’s debut at the Sebring 12 Hr race recently…His performance was DEFINITELY noteworthy! Thanks Damien for the read. KC is a good driver no doubt and infact, they did support him earlier on in his career. Doubt if the TATAs will look elsewhere than NK. If this is the case, then the Indian Motorsport scene is best for their investments. As for a piece on KC’s debut, I unfortunately haven’t been following the WEC and hence KC’s race in Sebring, so will be unable to share my view. However, I did read that he did very well and I hope he continues to do so. Nicely written Kunal..brought up a lot of valid points..I guess it would be nice if they invested some part of it in Indian motorsport as well.. Thanks Murali. I really wish so too. We have just so many opportunities that exist in the sport in the country! Wonder what will make them change their decision! Well written, Kunal! I think the justification of TATA’s sponsorship in this area is pretty straightforward. Narain was the one who put TATA on the map with regard to F1 and they’ve remained loyal to him ever since. His team will be their team (or one of them) and his results will be their results (or some of them). Their moral fibre is laudable – just pretty unusual in F1 and in the commercial world. Thanks for the good words ALC. No doubt that NK and TATA are seen in the same light in Formula1. However, in my view, this emotional bond is coming at a very expensive cost and of course at the cost of a BIG investment in Indian motorsport!